This is a new Randall’s product. It’s just like Hamburger Helper. We were very pleased and found it quite tasty. We will be stocking up on this! The mac and cheese comes with dried pasta and a cheese packet. The pasta is made from corn flour. The cheese sauce contains milk, so it’s not dairy free. It takes about 8-10 minutes to cook. Then, you drain it and add the cheese sauce. With a Randall’s card, the mac and cheese cost less than $4, which was less than the Annie’s brand. I will say that I’ve tried the Annie’s brand, both regular and gluten free, and I’m more of a Kraft fan. Unfortunately, I’ve yet to find gluten free Kraft Mac and Cheese. The verdict? It had a lot of sodium and tasted quite salty. I didn’t finish it. I tasted the pasta alone, and it was fine. I feel it was the sauce that needed improvement. 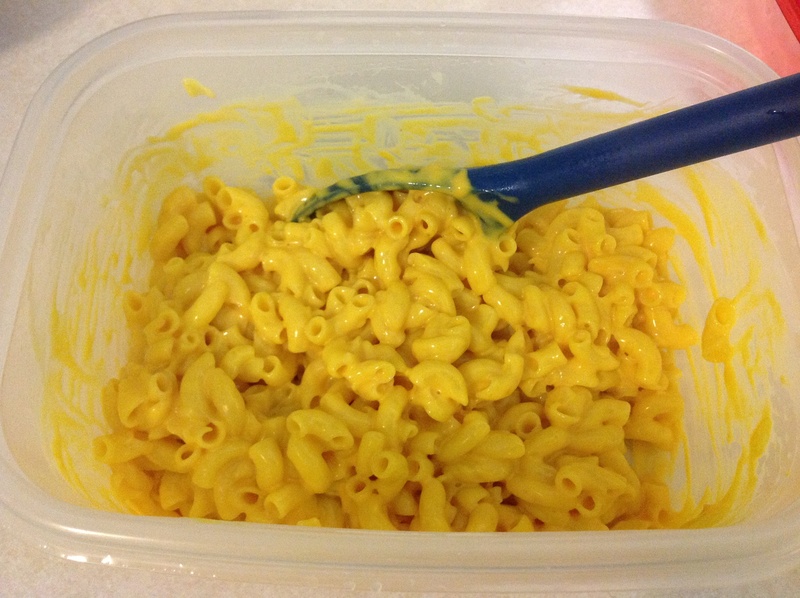 Was it worth the drive, to try a new gluten free mac and cheese that had the possibility of being a real treat? Absolutely. My friend that lives in another town me that Randall’s started carrying Eating Right gluten free items. I called around and one Randall’s in town had them. I went by and picked up the Deluxe Mac and Cheese, as well as the Lasagna Skillet Meal (aka Hamburger Helper).